Apply for this summer's sailing program now! Thank you for applying for the Junior Sailing School. Once your sailing registration has been processed by administration you will be contacted regarding payment details. The Museum is committed to getting kids onto the river. For centuries, sailing has been part of River life. This summer the Thousand Islands Boat Museum is excited to bring sailing to Gananoque. TIBM will offer 3 one-week sailing courses to give children a fun hands-on introduction to the sport of sailing. The emphasis is on fun, with lots of games and on-land (and island) activities, with most time spent out on the water on small, two-person sailing dinghies. The school is taught by Sail Canada certified instructors using 8 new R.S. QUBA sail boats. Students will get a basic introduction, and learn to be comfortable and safe around boats. They will also be offered an opportunity to learn correct fundamental movement on the vessels and build overall sports skills using Sail Canada’s CANSail 1 & 2 standards. 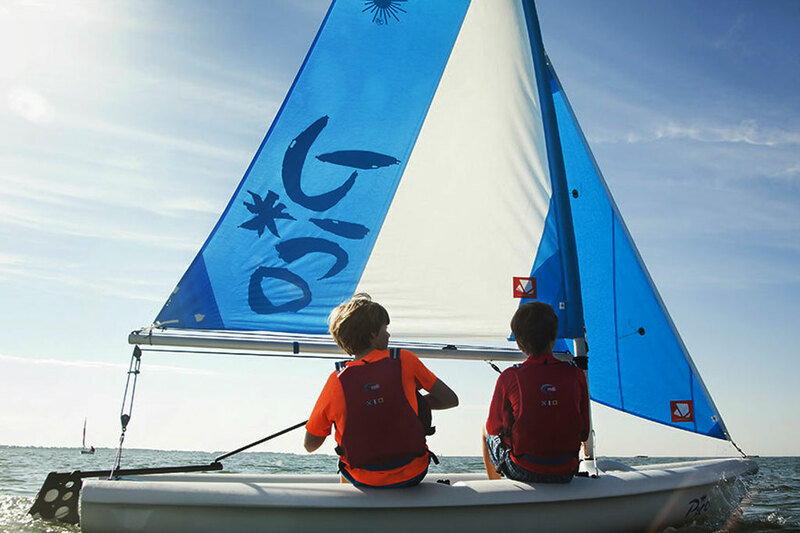 Sailing is an exciting sport that all children can succeed at. Learn the ropes and set sail. Who Can Participate: All youth ages 8-14. No sailing experience necessary. for the one-week course is all it takes! *Participants who's principal residence address is in Gananoque or the Township of Leeds and the Thousand Islands are offered a subsidized rate of $175/week. Only 16 spots are available in each week, so apply now.